It is an in – service program for working professionals. It is an in-depth 20 week program organized over the weekends. 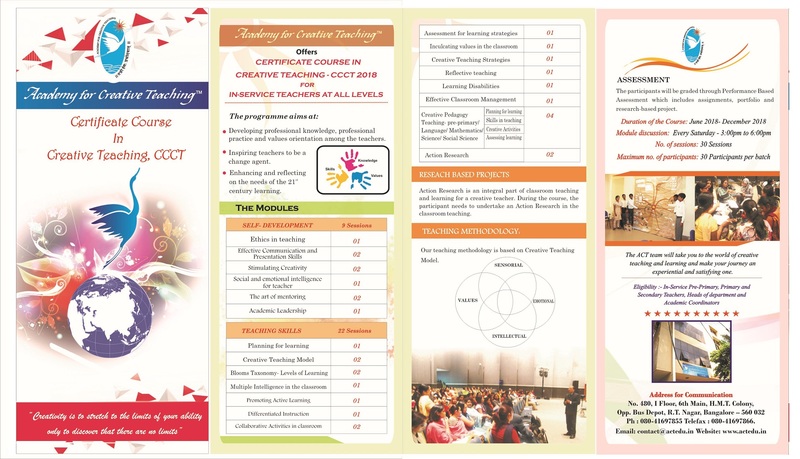 It is aimed at the life long learners with a zest of for learning and self development. The program provides an opportunity for the teachers, aspiring teachers to update their knowledge and skills and be proactive in managing change in the education sector. The program is also recognized as a Platform for nurturing teachers’ leaders.